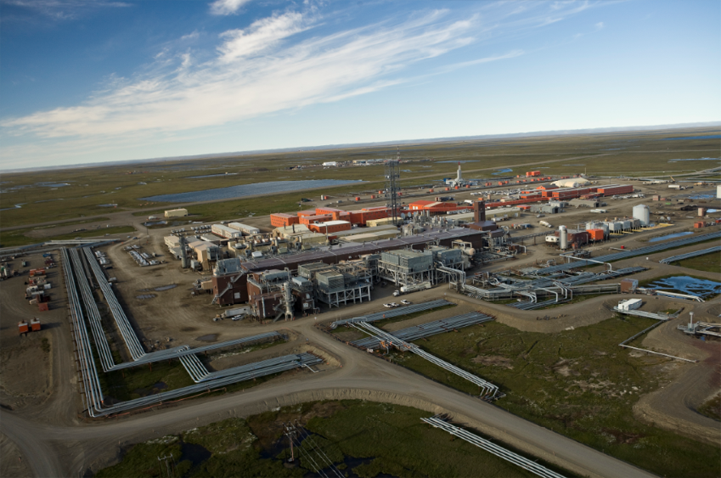 On Alaska's North Slope, ConocoPhillips operates the Kuparuk River Unit (Kuparuk), North America’s second largest oil field, 40 miles west of Prudhoe Bay. Discovered in 1969, production at Kuparuk began in 1981, increasing to a record rate of 322,000 barrels per day in 1992. Kuparuk reached a milestone in July 2005 when cumulative production reached 2 billion barrels, and has produced over 2.5 billion barrels to date. ConocoPhillips and its co-owners have invested more than $5.6 billion to develop the field and optimize oil recovery. In May 2009 the CDR2-AC purpose-built coiled tubing drilling (CTD) rig successfully initiated operations at Kuparuk to increase oil recovery. Since startup, the rig has delivered an impressive performance and is allowing ConocoPhillips to economically deliver millions of barrels of oil reserves. Sidetracks from existing well bores utilizing CTD are now the primary means for development drilling at Kuparuk. In 2014 we announced contracts for Doyon 142, a new-build rotary rig; contracts for Nabors CDR3, a Coiled Tubing Drilling rig; and a new viscous oil development at Kuparuk called 1H NEWS. Doyon 142 began drilling at Kuparuk in early 2016, and Nabors CDR3 began drilling in late 2016. New Kuparuk Drill Site 2S (DS2S) celebrated first oil in October 2015. This is the first new drill site at Kuparuk in more than 12 years. DS2S is expected to add about 8,000 barrels of oil per day (BOD) gross at peak production.